If you're interested in gaining a single customer view, read our handy guide. Shopping in Selfridges the other day on Oxford Street in central London, I stopped at a perfume counter to buy a present for a friend. As I paid, the shop assistant asked me if I had an email address, so I could be the first to know of their latest promotions and offers. 'At last!' I thought: the giant is beginning to stir - was this the first baby steps towards a multi-channel strategy? Joining online with offline? Amazingly, she leaned down beneath the counter and produced a pencil and a scrappy piece of paper. 'Don’t you have an app?' I asked. 'Aren’t you going to enter it into your terminal?' She looked blank. Her line manager, apparently, collected all these scraps of paper at the end of the day. And four weeks later I’m still waiting for their latest perfume offers to drop into my email box. Clearly these efforts are in their infancy. But despite their falling at the last hurdle - not to mention the crazy way of going about collecting addresses - at least their instinct was correct. In five years time, let’s face it, online and offline will be pretty much seamless. But it is amazing how few bricks and mortar retailers are doing anything about it, even now, unless they are running a loyalty scheme - and even then they may only have partial coverage. Of course getting an email address so you can market to customers online is only the first step - joining up their offline spend with their online is the ultimate goal, so you can work out cross-channel lifetime values, purchase patterns etc. However, to achieve this, you need to have some way to link the two - which means the email address you collect should also be attached to the in-store purchase, and you then need a place to query your offline and online sales data in a single view. So let’s look at the options. What are some of the strategies you could employ to make your first steps in joined up commerce? This was how Selfridges did it. If you don’t ask, you don’t get. I played ball because I do this stuff for a living, but I wonder what their success rate was? Pretty low, I imagine, especially since they invited customers to write it themselves. And even then, illegibility and the human error of transcribing them at the end of the day would reduce the number of usable leads still further. It’s certainly not scalable. What they should have done, of course, is have a terminal on the counter for the customers to tap it in - or have the sales assistant tap it in for them. Moreover, incentivising with a competition or a '10% off your next purchase' offer, would have increased their success rate. No clear benefit for customers unless an incentive is offered. Can be time-consuming for retailers to manage, unless they have accessible terminals for customers, which is an additional expense. Staff need motivating to collect addresses or encourage customers to submit them. Cross match offline/online keyed to email address? Possible. A number of new brands are now partnering with a company like e-receipts, which offers customers the option to be emailed their receipts. This is a strategy with great future potential. Encourages loyalty in customers and has a clear benefit for them in reducing clutter and helping them keep track of purchases. Seamless to operate from a staff perspective. Has massive advantage of automatically linking offline purchase behaviour and revenue with online. Still a relatively new technology, and requires some resource from retailers to set up. Resource required: Initially high, then low. Cross match offline/online keyed to email address? Automatic. In this scenario, a retailer might offer a stack of promotional flyers or cards, which require customers to go online to redeem them. Easy for staff to operate - they can even be incentivised with store-unique promo codes that could reward store staff. Low response rate. A large proportion of customers who take the cards will never redeem them. This one depends on what you are selling - but suppose you are a fashion retailer with a line in cashmere. In this case you might offer customers who buy a cashmere item in store the chance to get a free bottle of specialist washing liquid to go with it - but to claim their free bottle they need to go online to order it, to be delivered to their home address (possibly with their receipt number, to join up the data). It also provides a ready-made excuse to programme follow up emails for when you estimate the ‘wash’ will run out - 6-12 weeks is ideal. Because it is tailored to specific product purchases, it feels personalised and special. Easy to administer by staff. Some people love questionnaires - mostly because they like to be asked for their opinion, and because they like the chance to win something if you are offering an incentive. If you wrap the survey up in the form of inviting customers to be part of a ‘focus group’, it can make them feel special - and by giving you their email address, they will not have necessarily committed to actually doing the survey. However, actual responses will be low, and if the follow-up email is never opened, and you have been given no permission to carry on marketing to them, then the exercise will have been wasted. An alternative is to ask them to complete a short survey on a tablet in-store that will entitle them to a free gift or offer - which they have to go to your website to redeem. This has the added advantage of being able to join up with the in-store purchase, if the right app is developed. You get rich, additional information. This strategy is a halfway house to creating a fully fledged loyalty scheme, and can be reap dividends - but is tricky to sell to customers. The most effective way to run it is to link it to spend - so if a customer spends over a certain amount, you tell them that they qualify for your VIP club. Asking people if they want to belong to something exclusive is always attractive, and while enrolling them, you can collect additional information - male/female for example, and birthday or age range - if they are happy to give this to you. However, you need to figure out some rewards for being a VIP. You get rich, additional information, and catch high spenders. Time consuming for staff to administer. This is more of a hard sell, and won’t work for every retailer, and certainly not in the luxury sector. It involves running a weekly contest or draw with highly visible prizes - perhaps 100% cashback on the product they have just bought, once the prize draw is made. The downside is you attract leads, as with all competitions, for the wrong reasons - the discount hunters. But unlike online competitions, at least these are real customers, who are much more likely to come back. You won’t catch your best customers - attracts discount hunters. I see a lot of these promotions on the high street now, from retailers like WH Smith and Robert Dyas. £5 or 20% off-next-purchase-type promotions, via flyers. However, these are invariably aimed at getting you back in the store rather than online. 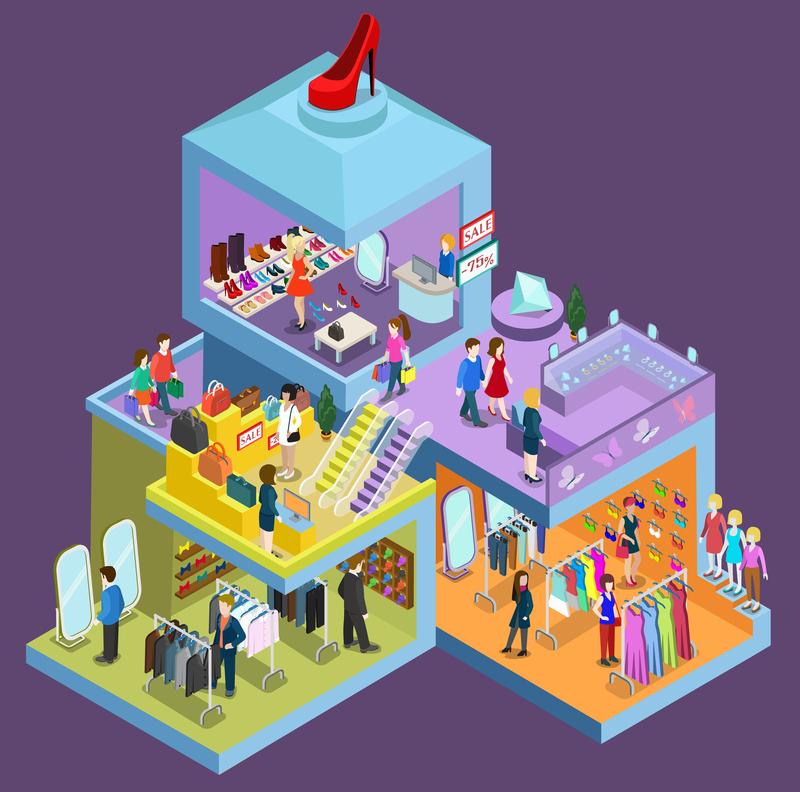 Retailers should offer the maximum discount they can to get shoppers into their online store. Easy to administer. Low cost to set up.